Luxury Hotels are great fun and a treat for everyone who stays in them. They can - with their grand buildings, traditional decor, and lush and often antique furnishings - tap directly into a child's imagination and fuel their fantasies of being king or queen, a pop star or a millionaire. The terms 'Luxury' and 'Family-Friendly' are not mutually exclusive, as many parents know. 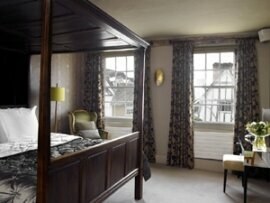 Happily, many Luxury Hotels in Suffolk welcome the whole family to spend a break in their sumptuous accommodation. 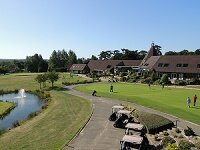 Please continue reading for a brief guide to Luxury Family Hotels in Suffolk, and click on each hotel's link for more information and to make a booking. If you think B&B's are plain, think again! There are a number of impressive Luxury Bed and Breakfasts on the Suffolk Tourist Guide in which to take a pampering, relaxing break. Please click on the link above for more information. The Brudenell Hotel, Aldeburgh, is a chic and stylish Coastal Hotel with family rooms and is ideal for children as it is just moments from the beach, and many of the bedrooms have wonderful views of the sea or the River Alde. There is also a family-friendly restaurant, serving simple yet delicious food. Kesgrave Hall, Ipswich is a spectacular building in the heart of the countryside, and positively welcomes children - as long as they are well behaved! There are excellent grounds for kids to play on, and fantastic food for the whole family to enjoy in the bistro restaurant that is open all day. If the height of luxury is what your family craves then Kesgrave Hall is the right choice for you! The Fox Inn & Restaurant, Bury St Edmunds is an independent family-run gastro pub in the heart of this medieval town. The renovation of an original courtyard barn now provides luxury accommodation. Each room is individually styled and comfortably furnished with luxury en-suite bathrooms, one of which is a Family Room. Tuddenham Mill, Tuddenham is located in an idyllic 12 acre rural setting near Newmarket, and a chic yet sympathetic refurbishment combine to offer a unique experience in this traditional watermill. The 15 rooms are unashamedly designed to tempt you, from the over-sized beds right down to those all-important little details. Family Rooms are available. The Great House in Lavenham is a fabulous boutique hotel located close to the marketplace in Lavenham and has a selection of stylish rooms available, including a family room. Children will enjoy the old world feel of the building. Please also check out the ever-changing Special Offers from Suffolk Hotels to see if you can grab a bargain for your Luxury Family Break! 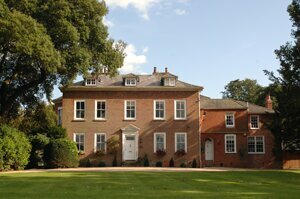 Please tell us all about your Luxury Family Break in a Suffolk Hotel by Sending Us an Email.